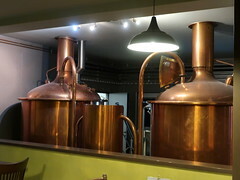 BRUSSELS – European beer brewers are calling for a consistent taxation which only considered the ingredients used to brew the beer and not those used after fermentation. On August 29th the brewery advocacy group Brewers of Europe issued a statement urging the European Commission to reconsider its stance on the taxation of beer brewing, in order to ensure that the rules are consistent with a European Court decision. Earlier this year, the European Court of justice clarified that it supports the use of the Degrees Plato system instead of ABV when calculating the excise duties on beer. The ABV system is a measure of the alcohol by volume in a beer, while the Degrees Plato system takes into account the total fermentable sugar used in the production of a beer. BRUSSELS – Despite initial support, EU ministers are backing out of support for an international tax on digital companies. Over the weekend at a meeting of the Finance Ministers of the EU discussed the recent proposal to levy a tax on the revenues major international online businesses. 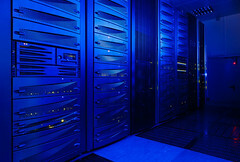 The taxation of major online businesses, such as Amazon, Google, and Facebook, is a controversial subject in the EU. Online businesses have been accused of skipping out on their tax obligations by shifting their profits to low-tax jurisdictions. As a move to balance out the profit-shifting, a proposal has been made to tax the revenues of big online businesses at a rate of 3 percent. BRUSSELS – Greece, Malta, and Cyprus may lose their status as prime destinations for registering luxury yachts. On March 8th the European Commission issued a statement confirming that it has opened infringement procedures against Cyprus, Greece, and Malta for their tax treatment of luxury yachts. The alleged infringement concerns the member states establishing and enforcing guidelines which may greatly reduce the VAT applied to the lease of luxury yachts and boats. Under current EU rules, member states are able to forego applying VAT to the supply of services which are utilized and enjoyed outside of the EU. The three member states issued guidelines in which the larger the boat, the more of the lease is estimated to take place outside of the EU. BERLIN – Germany is setting up new rules for taxation of cryptocurrency, and they are likely to be a hit with crypto-users. On February 27th the tax authorities of Germany issued a new document detailing the taxation of cryptocurrency use in the country. Unlike many other countries in the world, including the USA, Germany will consider Bitcoin, and other cryptocurrency, to be a digital currency and not an asset. The impact of the decision is that purchases made with any cryptocurrency in Germany will not face capital gains tax, and will be taxed as though the transaction was carried out using standard payment methods. In other countries, cryptocurrency can be considered to be an asset, and as such, can trigger capital gains tax obligations when sold or traded.